Wacker's Silpuran line of silicone. ADRIAN, Mich.—Axel Schmidt has been in his new position as vice president in charge of Wacker Chemical Corp.'s silicones division for North and Latin America only since Jan. 1, but that doesn't mean he is a newcomer. Schmidt is an 18-year veteran of Wacker, having joined parent company Wacker Chemie A.G. in Munich, Germany, in 1994 after earning his master's degree in economics from Munich University. Two years later, he became a marketing specialist for the rubber business before being promoted to head of planning and logistics for the elastomers unit in 1998. He got his first U.S. posting in 2000, when he was assigned to Wacker Chemical in Adrian as the NAFTA business line manager and supply chain manager for silicone sealants. He began a four-year stint as president of Precision Silicones Inc.—now known as SilMix California—in Chino, Calif., in 2002. 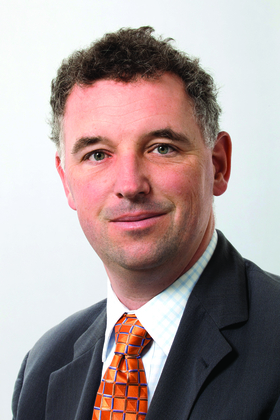 Schmidt then returned to Europe to work for a solar business joint venture that Wacker exited in 2009, and he returned to Munich in 2010 as director of rubber solutions and head of the global business team. All of that experience serves as a primer for Schmidt in his new role, according to Ingomar Kovar, Wacker Chemical president and CEO. He said Schmidt will work "to facilitate development of new applications for existing products, open new market segments for business growth and continue to improve Wacker's overall brand and competitive market position." For his part, Schmidt was ready to hit the ground running in a business he still sees as being a specialty materials market by nature. "(Silicone elastomers) are usually higher priced, and they have a higher performance," Schmidt said. In some applications, he has seen the price gap between silicone and other elastomers such as EPDM narrow a bit because of sharp price increases for petroleum-related raw materials. "Some of the organic elastomers have become more expensive," he said, "and we are getting access to markets that we have not had in the past for organic replacement." While silicone elastomers remain a specialty material with healthy profit margins in many applications, he said there are some uses where fierce competition is coming not just from the U.S., but from Europe and Asia as well. "It's not commoditization yet, but it's showing some trends that the competition is getting stronger," Schmidt said. "What we see is not just about the price; it's about service, price and speed." Wacker's business plan for the market is straight-forward, he said: Concentrate on being a service-oriented supplier to help customers find the right solutions for their situations. "That works quite well," he said. "We were able to expand our share, and we were able to have a healthy business—not a business where we say we print money, but it's a healthy business for Wacker." He said Wacker is a solid No. 3 for all of its silicone-related businesses. For 2012, Wacker Silicones boosted sales globally 3.4 percent to $2.12 billion. It posted double-digit percentage increases in Asia and the Americas, offsetting a 3.7-percent decline in Europe. "We are close to being No. 2," Schmidt said. "We are not even focusing on becoming No. 2. We are focusing on growing ourselves." Wacker reorganized its silicone elastomers business effective March 1 to focus on its four core markets in silicone rubber: energy, electronics, health care and automotive. He noted there is a side segment for applications that doesn't fit within these categories and also for customers that work in multiple sectors. Schmidt said the major driver for the change was to get a better alignment between the regions, at the same time empowering them to take advantage of geographic opportunities and also to foster better cooperation between the regions on global product and business development. Each of these four main markets offers Wacker opportunities for growth, he said. Within energy, the company is looking at infrastructure improvements to boost silicone elastomers. As more power lines are replaced by under-surface cables, those lines must be longer lasting and will need higher-performance materials, according to Schmidt. There also is a trend toward silicone being used in insulators for power lines. "They just last longer, and the utility companies are even contacting us directly as they go to higher performance insulators," he said. Wacker sees a trend toward further digitization in electronics, with items continuing to get smaller. As smart phones and tablets such as iPads grow, they will need more rugged components, he said. That opens the door for silicone elastomers such as gels or seals to gain favor in certain applications. Schmidt added that even accessories to electronics represent growth areas in silicone rubber. He said while original iPhone cases were cheaply made, a number of manufacturers are producing more expensive—and sturdy—cases made of a plastic/silicone rubber combination. Health care is the fastest growing segment for silicone elastomers because of the aging population and the higher levels of health care spending, including on medical devices that use silicone. 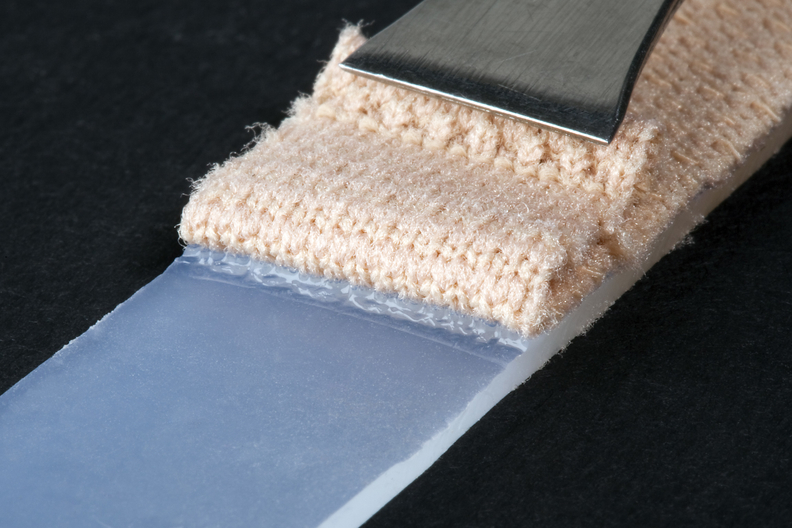 In this sector, silicone is used in many areas, including elastomeric gels for wound care and silicone rubber fabrication for catheter tubes and other components. Two years ago Wacker introduced the Silpuran family of materials for OEM medical devices and health care applications. It includes high-consistency rubber, liquid silicone rubbers and room-temperature vulcanized silicone materials. The Silpuran line is produced at clean room operations in Wacker's German facilities and even can be used in selected long-term implants, Schmidt said. Market reception has been good thus far, but he said the company knows this is a long-term proposition. "We are selling it significantly, but more importantly it drives customers toward us because they see us as the health care expert in the silicone rubber market." Automotive, while not growing as fast as health care, still represents the biggest market for silicone rubber, Schmidt said. On a global scale, growth in automotive will come from the trend toward green vehicles, including hybrid and electrical cars, and diesel engines. "Hybrid cars need more cables and connectors, meaning more applications for silicone," Schmidt said. Growth opportunities in traditional vehicles will come as silicone replaces other materials in such parts as spark plug boots and pipe hangers. "We work with Tier 1 and 2 suppliers," he said. "They usually come to us when they have a problem or when they have a new platform being developed. We stay in tight touch with these suppliers to have materials ready when they need them." As a large chemical company, Wacker typically likes to do business with customers with annual volumes of $100,000 or more, yet it still strives to serve smaller, custom accounts through its SilMix business model. Besides the operation in California, the firm has a SilMix unit in North Canton, Ohio, and has expanded the business model into India and Japan. It started working with a partner compounder in Mexico to supply custom compounds based on Wacker's Elastosil-brand silicone, a practice that started with partners in Europe, he said. The SilMix operation has the backing of a large corporation but can be flexible in working with smaller customers developing new applications. He said the two SilMix units in the U.S. are working closer than ever with Wacker Chemical headquarters in Adrian and, if a customer's volume becomes big enough, the production can be relocated to Adrian. "SilMix isn't just a production site," he said. "It's a business model and an incubator for new business. Some things start small, then become significant someday."